Photography can feel daunting, but it can be fun too! And we all know how crucial it is to blogger/IG life. When I first started my blog over a year ago, I had never used a DSLR before. My photography know-how was ZERO. Nilch. Nada. Zip. Non-existent. But with practice, patience and good ole’ Google, I’ve made some strides. Utilizing online platforms like lynda.com and youtube also helped guide me, but I am still figuring it all out as I go along just like you. The key is to play around with it, have fun, and listen to your inner creative voice. In this post I’m going to share with you a little BTS on how I shoot my makeup series looks – like this one I did with Rituel De Fille or this one with Kylie Cosmetics KKWxKylie. But before I get into the technical stuff, I wanted to share a few photography lessons I learned along the way. I am by no means an expert and am still figuring all of this out, but if someone would have shared with me these next three tips it would have saved me a lot of time and uncertainty. While it’s good to know what other people are doing, don’t let it affect what you’re doing. In the beginning, I spent a lot of time looking at how other bloggers/IGers took photos and feeling negative about my own photos. I was always doubting myself – “ohh should I make my photos look like this person’s IG since people seem to like that? !” or “are my photos not as good?” or just criticizing where my photos were at. I waffled a lot about my aesthetic direction; experienced self doubt; went back and forth with my aesthetic – but once I finally found something that felt right and I could do easily, everything came together. Just remember, we all start somewhere and don’t be too hard on yourself! Enjoy the process. There were so many times I overthought my photography process. I made the layouts, props, backgrounds etc so complicated, and it was frustrating for me to come up with new ideas and I wasted a lot of time shooting complicated scenes. Once I decided to keep things simple, I was able to create more content and grow. Remember, photographs are just one piece of it, but the important part is to have fun and express yourself so people get to see the real you! Because that’s what people want anyways. And my last tip before I get into the technical aspects of how I shoot these makeup series, is to put yourself out there! When I first started out blogging and on IG, I was really nervous about posting pictures of myself. For one, my perioral dermatitis was very inflamed and I was embarrassed of my skin and secondly, I was worried that people would think I was vain for posting photos of myself (I still wonder about this sometimes..). So I didn’t post any photos of myself for months (I deleted over 300 of these earlier pics from my IG). It seemed to be going along okay, except for the random DMs asking me if I was a brand selling a product or a magazine! I realized that people couldn’t see who I was, what I was about, and there was a disconnect. They didn’t realize that I was a beauty blogger! That’s when I decided to start posting photos of myself and sharing more personal posts. It was difficult at first. I felt very insecure about exposing that vulnerable side of myself. But the response I received was so positive and wonderful! I started to make friends on IG, people began reaching out and my experience with the beauty community really deepened. And plus, people want to see the products you’re reviewing on your face! That’s what I’ve learned. Okay, now onto the how-to portion. When it comes to these makeup series, the first thing I do is decide what the theme is for the series, which products I want to use, and what I want to wear. Once that is done, then I get the ball rolling! I do my makeup in the bathroom and shoot in my bedroom! Here’s what I use and how to set it up. 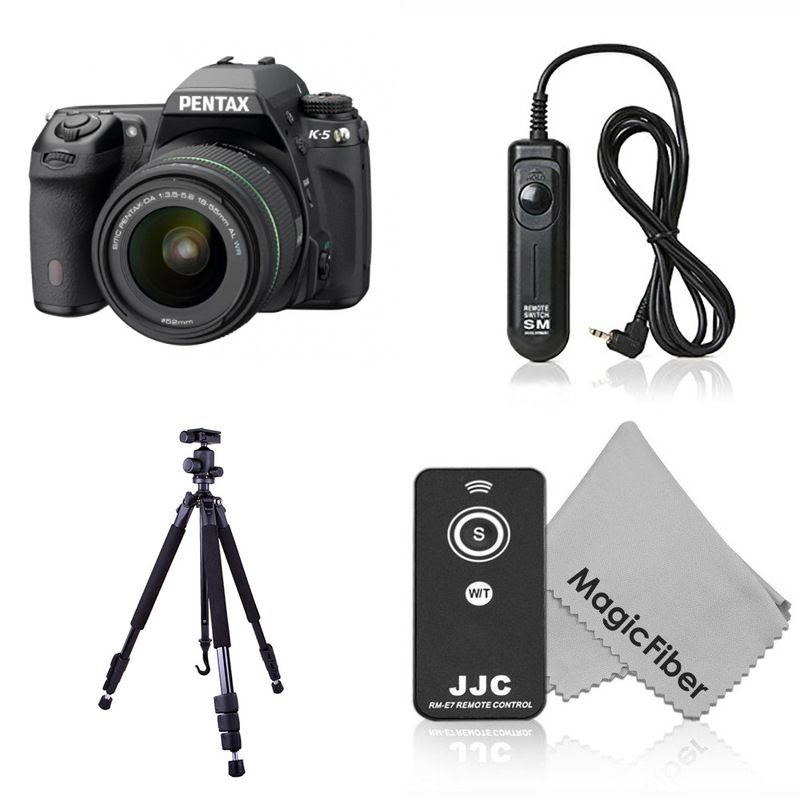 Camera: When I started my blog, my dad gave me one of his old cameras; It’s a Pentax K5 and it works well. I have two lenses for it, but I mainly use this larger lens. Honestly, I don’t know the difference between the two, just that this one is a manual focus which I like. Tripod: I purchased the Dolica AX620B100 62-inch Proline Tripod & Ball Head from Amazon for $49.99. The quality is good. It’s sturdy and the reviews on Amazon are really high – which is why I picked it. *Tip – my dad told me that there is always a little bit of a shake when you take photos without a tripod. This causes the picture to not be as crisp and clear as it can be. 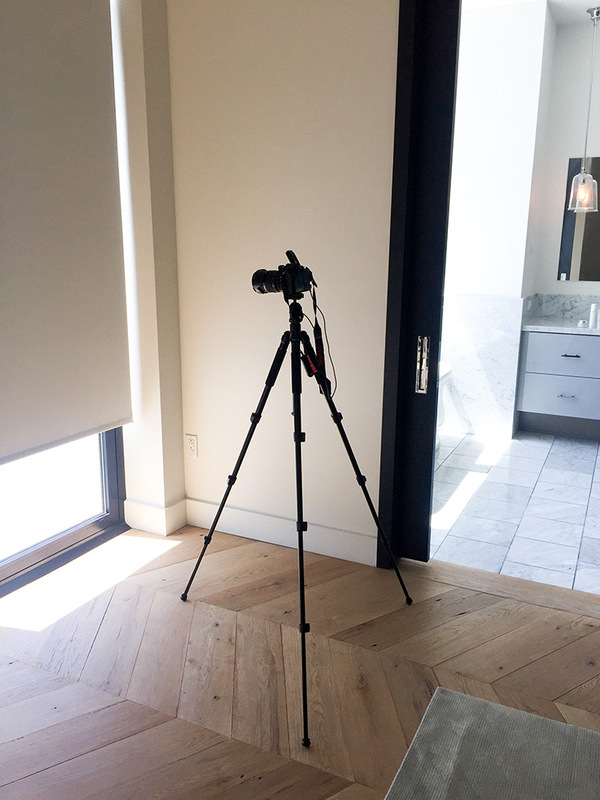 By using a tripod, you help to eliminate a lot of that shake. Sometimes (if I’m not too lazy) I’ll use my tripod to take pictures of products and not just my makeup series. When I do, my pictures come out very crisp and clear! Release: This “release” aka wire remote control, allows me to stand in front of my camera and take photos of myself. Have you ever noticed how in all of my pictures you can’t see my hands? Yah, this is why. I purchased this Pentaxist SMDV Remote Shutter Release Cable off of Amazon for $13.95 – mainly because the reviews were also good. It works well and I like it! Wireless Remote Control: I also purchased off of Amazon a wireless remote control for my Pentax camera for pretty cheap – $9.95. It works O.K. but I find it a little difficult to use. The sensor doesn’t always connect with the camera right away and sometimes it lags. I prefer the release and use it for the majority of my makeup series shoots. 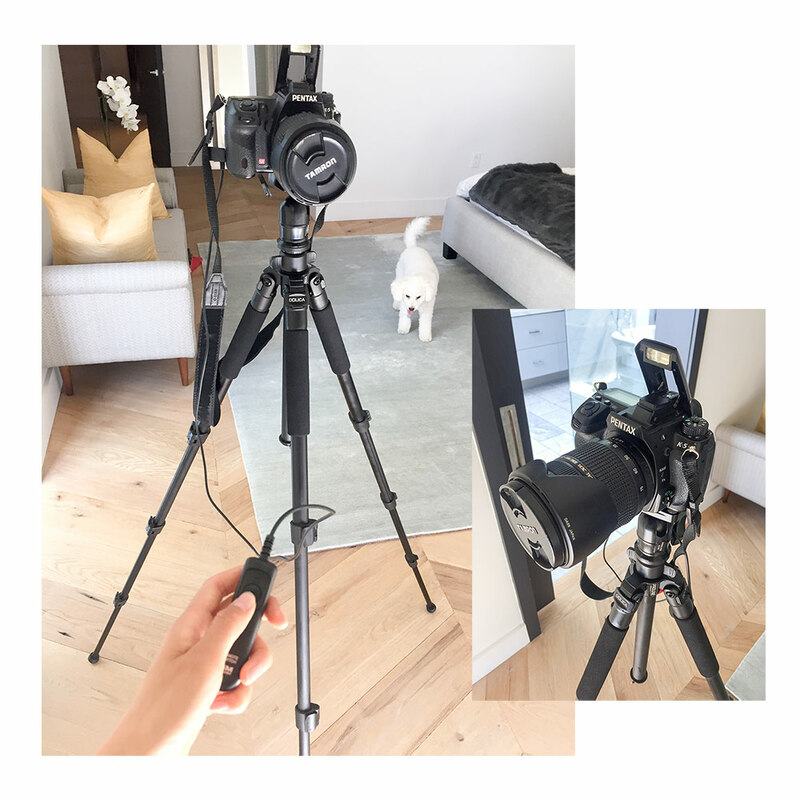 I position my camera on the tripod with the wire release connected to my camera. (There’s a side insert on DSLRs like a headphone jack.) I stand the camera in my bedroom in front of my shades; They’re white so it provides a nice clean background, and I like that it’s right next to my bathroom so I can go back and forth when I need to change makeup looks. I stand in front of my camera and while holding the release, I take photos of myself. That’s it! Easy, peasy! I am going to invest in box lighting at some point, but right now I just use the flash on my camera for my makeup series shoots. It provides a bright look, but sometimes it can be washed out so I have to adjust the exposure, shutter speed and aperture. I typically set everything up first, take a couple of test shots and then go back and forth in front of and behind the camera until I get pictures I’m happy with. Once I’m doing shooting all of the looks, then it’s time for editing. If you want to invest in good editing software, I highly recommend learning how to use Adobe’s Lightroom; It allows you to adjust lighting, tones, colors, etc. I didn’t have any idea how to work a camera, edit, lighting etc. when I first started out, but I signed up for lynda.com and learned a lot! They have in-depth photography tutorial videos. Youtube.com has some great ones too, but I find it’s easier to learn from the Lynda.com videos because they provide chapters, a note taking area, and professional structured videos. You will feel like you’re taking serious online photography classes. It’s a little expensive, but worth it. I hope this brief rundown was helpful! Feel free to leave any questions you may have in the comments below and I’ll be sure to answer them! And go check out my latest makeup series reviewing the Rituel De Fille eyeshadows – here – and let me know what you think!